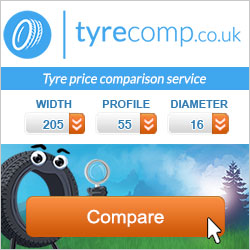 The Tyrecomp barometer is back! We analysed for you the searches from millions of Europeans. Discover now the european favorite tyre brands for 2017. Our barometer is really simple to use. During a whole year, we observed visitors searches from fifteen of our price comparison websites. This allowed us to analyse the most popular brands in each country studied: Germany, Austria, Belgium, Denmark, Spain, France, Ireland, Italy, Luxembourg, the Netherlands, Poland, Portugal, the United-Kingdom, Sweden and Switzerland. For the third year in a row, Michelin is at the top position of our ranking. Definitely appreciated by the European consumers, the brand is the highest ranked in France, Spain, Belgium and also Luxembourg. Neck to neck with the automotive leader Michelin, the german brand manages to comfortably establish itself at the the second place. Nonetheless, Continental takes the lead in Germany, Switzerland, Portugal, the United Kingdom and the Netherlands. The brand thrives at the third place of the visitors searches in the United Kingdom, Luxembourg and in its home country, Italy. Ex aequo, Goodyear and Nexen are in 4th position of our ranking.